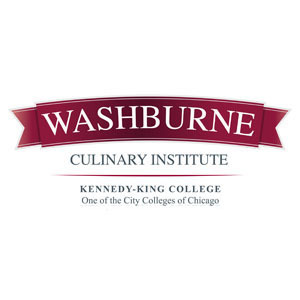 Washburne Culinary Institute is a two year, public institution in Chicago, Illinois. Washburne is headquartered on the City Colleges of Chicago Kennedy-King campus. Washburne build their curriculum with industry leaders to ensure it provides students with the skills that are most important and valuable in the working world. Founded more than 75 years ago, Washburne Culinary Institute is one of the oldest culinary schools in the nation and is a GI Bill approved culinary school. Headquartered on 63rd and Halsted on the City Colleges of Chicago Kennedy-King campus, Washburne provides students with the latest culinary techniques, along with essential hands-on experience to ensure they are equipped to work in Chicago's most successful restaurants, hotels, private clubs and other culinary establishments. Washburne is approved for the GI Bill. However, Washburne is not a Military Spouse Career Advancement Accounts (MyCAA) approved school.